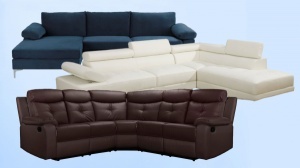 We Carry a Variety of Wholesale Furniture Liquidation Lots. Please review the listings below for further details. Pricing: 20% of Retail. 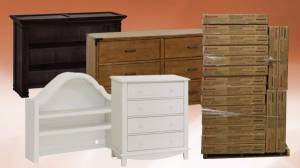 Custom Made Lots of Assorted closeout nursery furniture from a Leading Nursery Furniture Manufacturer. All items are complete and structurally sound but some may have small blemishes or imperfections (scratches, dents, inconsistent color, etc). Create your own 53' Truck Load or 40' or 45' Ocean Container. All items are complete and structurally sound but some may have small blemishes or imperfections (scratches, dents, inconsistent color, etc). Create your own 53' Truck Load or 40' or 45' Ocean Container. Brands typically include: DaVinci, Baby Mod, Babyletto & more. 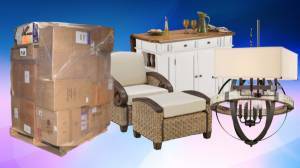 Upscale customer return furniture and home décor loads. 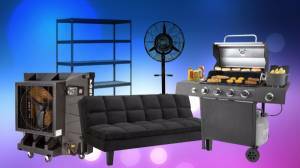 Manifested Customer Return Furniture and Home Décor loads from popular national retailer. Multiple load available. Please review manifests for details of the loads. 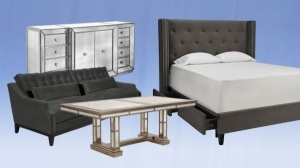 Load are likely to include, but not limited to: bedroom furniture, sofas, main seating, dining tables, dining and kitchen, buffet tables, chaises, dressers, beds, chests, bar organizers, decorative pieces, mirrors, accents, office furniture, wall décor, and more! Retail prices range from $150 - $1,999 per unit. Your price is 8.5% of Retail. Reasonable offers for less may be considered. If you wish to make an offer, please do so using the Make An Offer button or submit your offer directly to your account manager. Loads will be a combination of palletized and handloaded. Great items for Retailers, Discount Stores, Outlets, and Export! 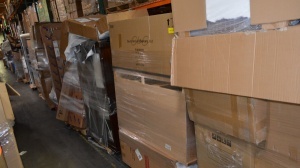 As-Is Clean Customer Return furniture loads with little to no structural damage. Most items still in original factory packaging. Wholesale Value: Initially invoiced @ $40,000. Within 48 hours post shipment manifest will be released and provided to you. Loads are likely to include, but not limited to: Outdoor Furniture, Dining Tables, Sectionals, Coffee Tables, Cocktail Tables, Dressers, Chests, Sofas, Beds, Kids Beds, Vanities, China Cabinets, Buffets, Desks, Bedroom Vanities, Benches, & more! All loads are full 53’ trailers. Loads are typically floor loaded, but may be a combination of palletized and floor loaded. 1 x 53’ Truck can easily be floor loaded into a 40’ or 45’.